The case features a 20-year-old girl that underwent cardiac evaluation in the out-patient clinic. Her brother was recently diagnosed with ARVC based on a proven pathogenic mutation in the Plakophillin-2 (PKP2) gene. She was carrier of the same pathogenic mutation and underwent cardiac evaluation. She had no history of any cardiac complaints. ECG showed sinus rhythm with normal depolarization and repolarization. 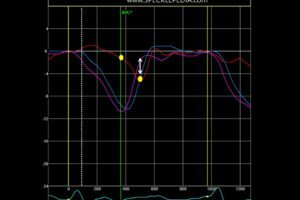 Holter monitoring showed 5 PVCs/24hrs and no VTs. Cardiac imaging as in MRI and echocardiography including deformation imaging was performed. 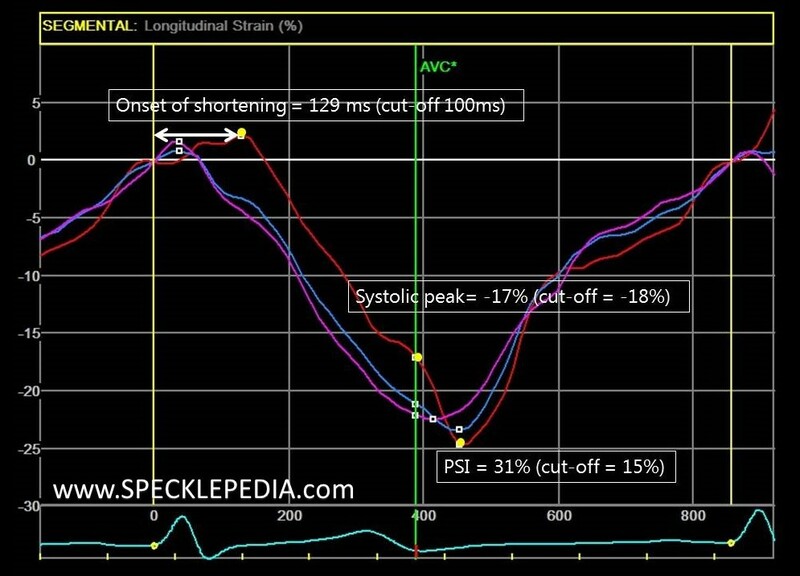 Cardiac imaging revealed normal RV dimensions and global systolic function. MRI RVEF: 63%, LVEF: 55%. 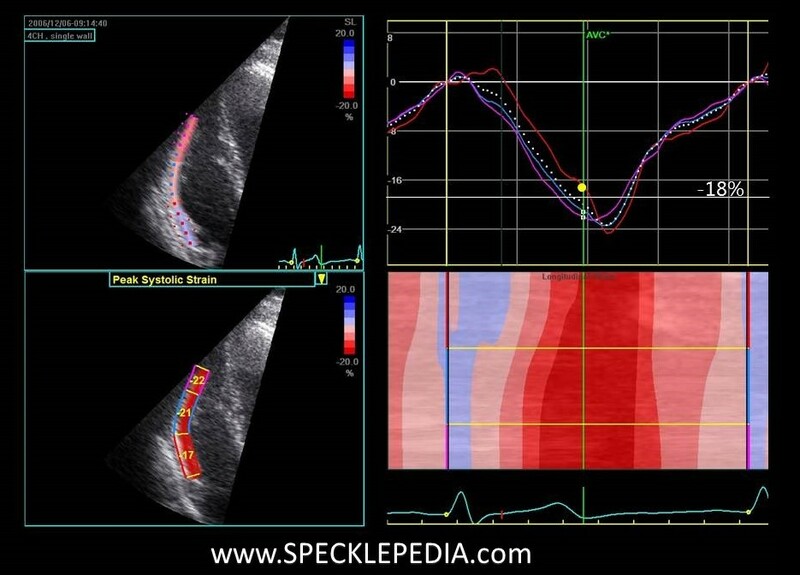 Echocardiography also showed normal biventricular systolic RV function (RV peak annular velocity = 12 cm/s and LVEF = 58%). 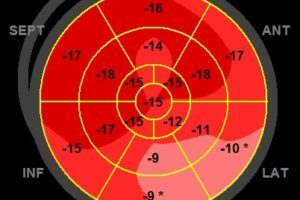 No visual regional wall motion as akinesia, dyskinesia or aneurysms were seen on MRI neither during echocardiography. No gadolinium enhancement was seen as indication of myocardial fibrosis. 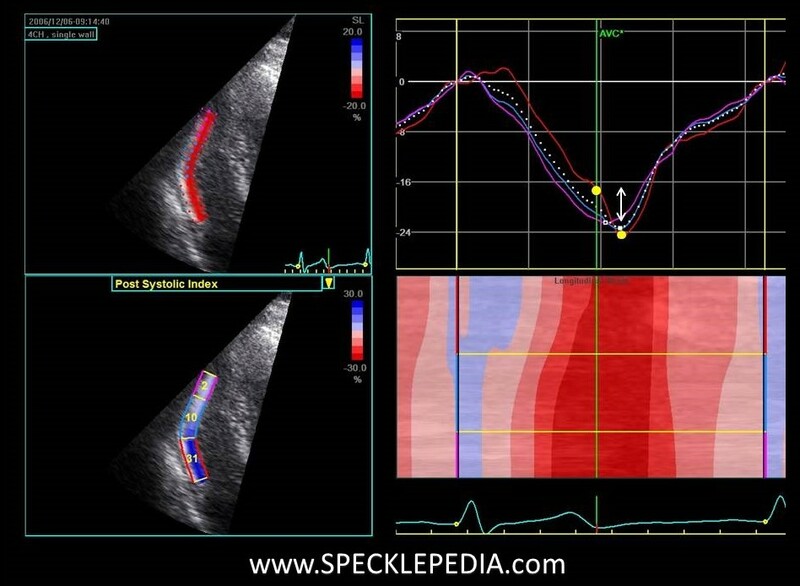 RV deformation imaging shows an abnormal deformation pattern in the subtricuspid area (prolonged onset of shortening, reduced systolic peak strain, and post-systolic shortening). This is also known as the Type-II deformation pattern. The mid and apical deformation patterns show normal deformation. Conclusion: Echocardiographic RV deformation imaging reveals subtle regional pathology in the subtricuspid area as first sign of ARVC disease expression. Thomas Mast has contributed 1 entries to our website, so far. View entries by Thomas Mast.